First thing I noticed is that it is really very short. 64 pages plus maps, you can read the whole thing in one go. But at the same time, it is still a complete setting. 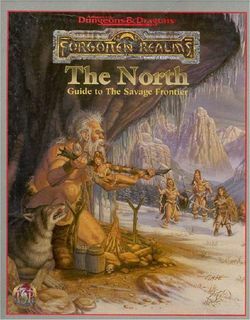 You could perfectly run a whole campaign with it that runs for years without having the main box set or even knowing anything about the rest of the Forgotten Realms at all. The only thing that is missing are the descriptions of the gods, but these don’t actually play any role in this sub-setting and all you need is a post-it note that tells you which domain each of the listed gods has. This book doesn’t tell you how everything works, it just tells you what it is called, where it is located, and what its purpose it. That really are the most important parts a GM needs to know to be able to create some own content based on it. The exact amount of orcs that inhabit a fortress and the name of their chief and the level of their shaman really are not that important or barely relevant. By letting the GM come up with these things the setting becomes actually more usable. You think it might be a good idea to have the party sneak into a goblin lair and fight their chief? But the PCs are only 3rd level and it says the chief has 12 HD and is always guarded by twenty warriors with 4 HD each, so that’s not really an option. We’re actually better off when these things are left to the GM. As a result, the descriptions of towns, dungeons, and regions are usually very brief, rarely more than a short paragraph or two. The Savage Frontier may be short, but it’s long enough. I then also got The North back out to compare it and try to figure out how it’s different. And there are really two main difference that strike me as the most significant. That’s very different from what you see on the cover or in The Savage Frontier. The other factor is scope. There is so much more detail and description in The North that the region feels very crowded, which is of course reinforced by the art style. The result is that the setting feels completely different. 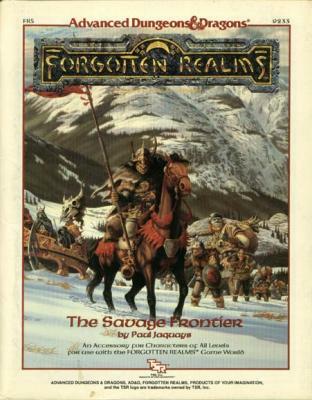 In The Savage Frontier you get the impression of this vast wilderness that is almost completely depopulated and the home of orcs and giants. A place with just a few Points of Light of civilization and nothing but a few crumbling walls and dark stairs leading into the ground as the sole remains of the great realms that once existed there in the distant past. In contrast to that, The North feels like Sherwood Forest. Or even the Shire. A pretty peaceful place where exploring old ruins is kind of an idle hobby with plenty of quaint farming villages with cozy inns and happy merchants. They turned the Lonely Mountain into Hobbiton. A cruel Sword & Sorcery setting turned into a ren fair show. Third edition Forgotten Realms was an entire different can of worms. 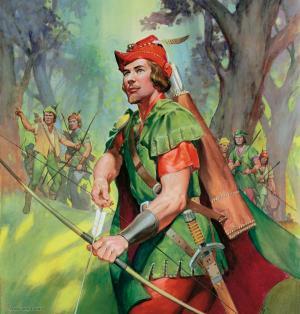 Of course I loved it when it came out and for many years after, but third edition D&D is its own very unique type of fantasy that doesn’t actually resemble 1st Edition AD&D and BECMI at all. It’s much more an evolution of Dark Sun and Planescape. Which are the two coolest RPG settings ever, but they are very special cases. Certainly not templates for generic medieval fantasy. Since I’ve created my own setting inspired by The Savage Frontier, I am probably not going to use it for any actual campaigns in the future. But I still like to get it out again and read its two-sentence dungeon description and have them further inspire me with great ideas I can develop into something much bigger and more complex for my own world. Just as it was intended.